This impressive glass vase is made by the German company Rosenthal probably in the 1980s. 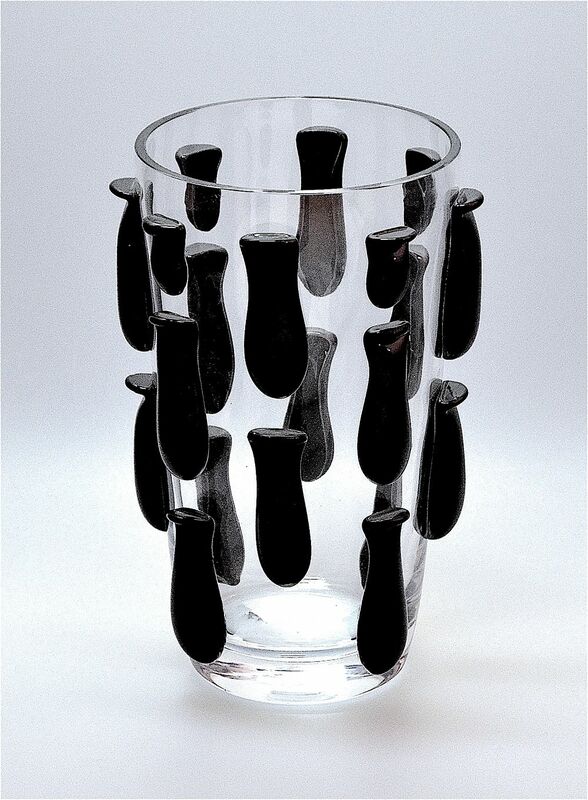 The clear glass is decorated with vertical lines of applied abstract shaped pieces of black glass. 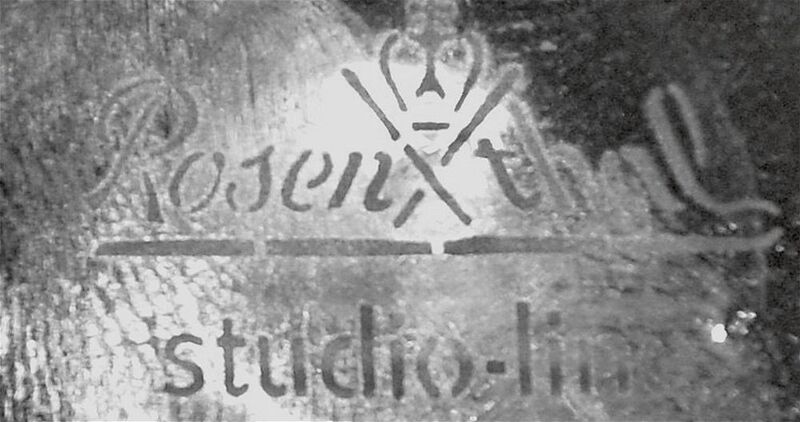 The base is signed "Rosenthal studio-line" and has the Rosenthal crown mark.